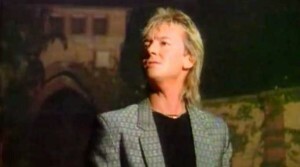 Chris Norman – Some Hearts Are Diamonds – Official Music Video. The title track off of Norman’s 1986 album of the same name. It was written and produced by Dieter Bohlen (Modern Talking, Blue System). It reached number 7 on the singles chart in Austria, #12 in Switzerland and #14 in Germany.